U.S. Secretary of State Mike Pompeo blasted former Secretary of State John Kerry for meeting recently with Iran’s foreign minister. “What @JohnKerry has done by engaging with #Iran’s regime, the world’s top state sponsor of terror, is unseemly, unprecedented, and inconsistent with U.S. foreign policy. The deal failed. Let it go,” Pompeo tweeted on Sept. 15. The Foreign Agents Registration Act requires those who represent the interests of foreign powers to disclose such relationships and any related activities and finances. Kerry and Zarif were key negotiators of the 2015 Iran nuclear deal, or Joint Comprehensive Plan of Action (JCPOA). Kerry told conservative radio host Hugh Hewitt last week that he had met with Zarif three or four times since leaving office but not since Pompeo took the job in April. Former Arkansas Gov. 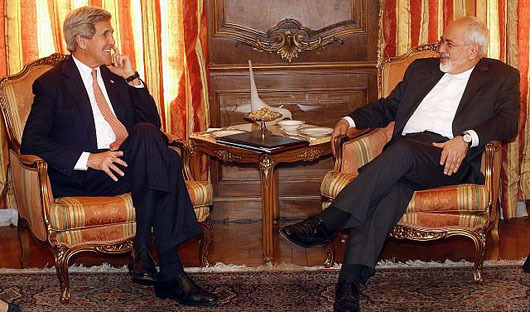 Mike Huckabee told Fox News that Kerry’s meetings with Zarif could “make the case” for a violation of the Logan Act. He added that Kerry is “violating” a “sense of protocol” and he “owes the country a big apology” for his meetings.